As this sodium peak has been linked to the onset of migraines, a team of US researchers decided to investigate how sodium is distributed throughout the brain both before and during a migraine attack. Using highly-powered magnetic resonance imaging, the team of researchers scanned the brains of rats as they experienced migraines. They found that there was an increase in the sodium level in the brain stem a long time before the migraine began. The reason that this sodium boost is helpful is that, if tracked, it could help to show up the area of the brain where the migraine symptoms may be starting. Strangely enough, given this higher level of sodium present in the brain stem being linked to migraines, a number of migraine sufferers have found that the number of migraines they experience are reduced when they start eating more salt in their diet. Additionally, of 8819 adults who were surveyed between 1999 and 2004, those who had higher levels of sodium in their diets (through eating certain meats, cheese, bread, and table salt) reported the fewest number of severe headaches and migraines. However, a diet high in salt has risks of its own. 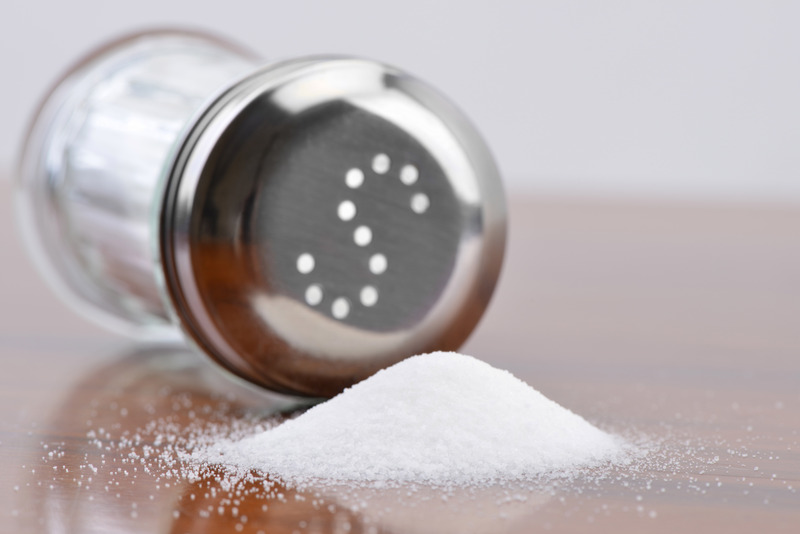 Salt has been linked to heart disease and stroke, and experts say that it is currently too early to know how safe eating more salt is for people who have migraines. Nevertheless, the results of these different salt/migraine observations make for interesting reading! This was posted in Diet, nutrition and migraines, Migraine case studies, Migraine headache causes, Migraine management and tagged causes, migraine, salt, Sodium, treatment. Bookmark the permalink. ← What is Cupping? And is it Safe?